April 13, 2016 Category: New MusicTag: b. dvine, big stat, blaq poet, comet, dro pesci, forward thinking ent, ft ent, ghostface killah, jukstapose, larry banks, mad men entertainment, odd thomas, puffalo, rhyme regulators vol. 1, royal flush, soloist, switch, timbo king, tragedy khadafi, vital, vital the unspoken virtue, x.l. 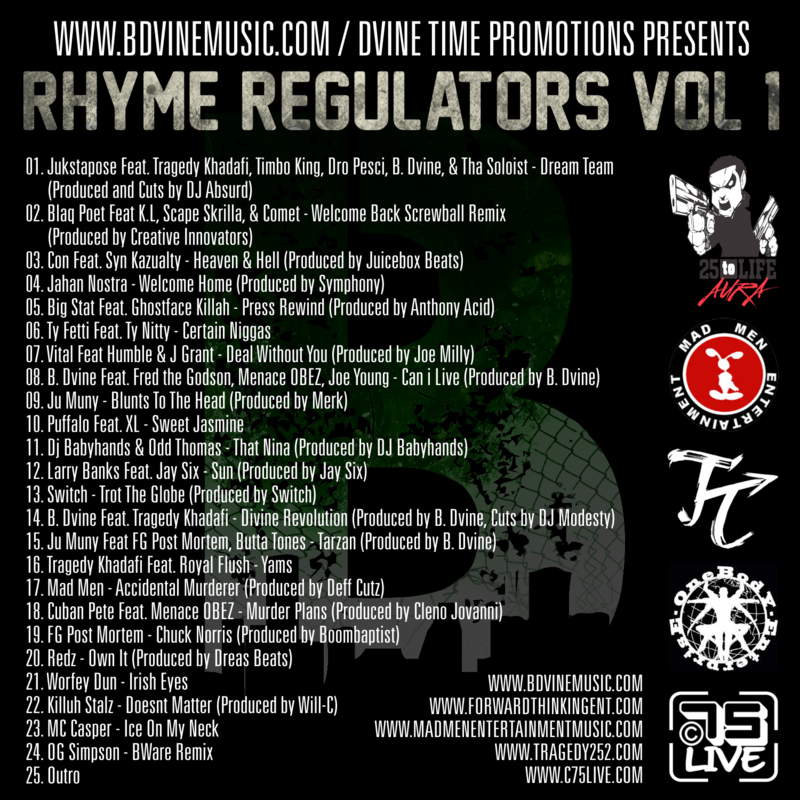 BDVINEMUSIC.COM and Dvine Time Promotions have created “Rhyme Regulators”, a new mixtape series for artists to gain more exposure. 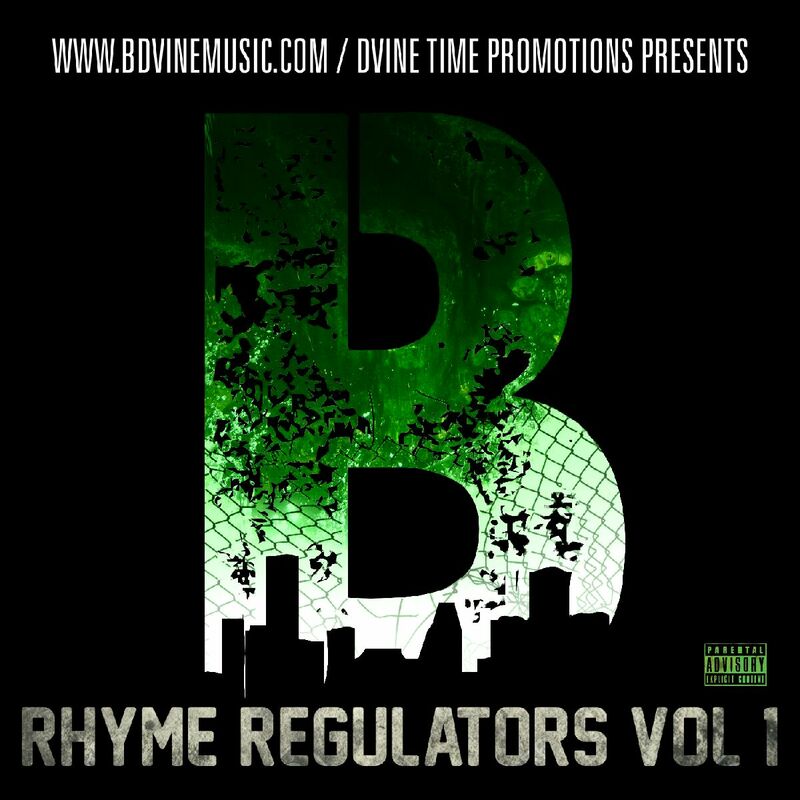 The first volume contains exclusives tracks from heavy hitters such as B. Dvine, Blaq Poet, Tragedy Khadafi, Comet, Vital the Unspoken Virtue, Big Stat, and many more up and coming emcees today. Be sure to download this tape today!